One of the keys to being successful on your weight loss journey is to find replacements for the foods you love that are either unhealthy or simply not helpful for weight loss. For instance, if you are used to having a side of fries with your meal, having a replacement that is similar keeps you from feeling deprived. Your taste buds will change, as well, providing your body with much-needed variation in your diet. This recipe has several options. It is great simply with oil and sea salt, but adding other flavors provides more variety. This recipe is a vegetable, so measure one cup for two servings of vegetable. Preheat oven to 425°F. Slice the ends off the squash (so will sit stable on the counter) and peel with a vegetable peeler. Cut it in half widthwise where the round part begins. Cut the round bottom in half lengthwise and scoop out the seeds. Using a crinkle cutter or knife, cut the squash into French fry sticks. Place into a bowl and drizzle with oil. Sprinkle with sea salt or any other seasoning you desire. Mix well. 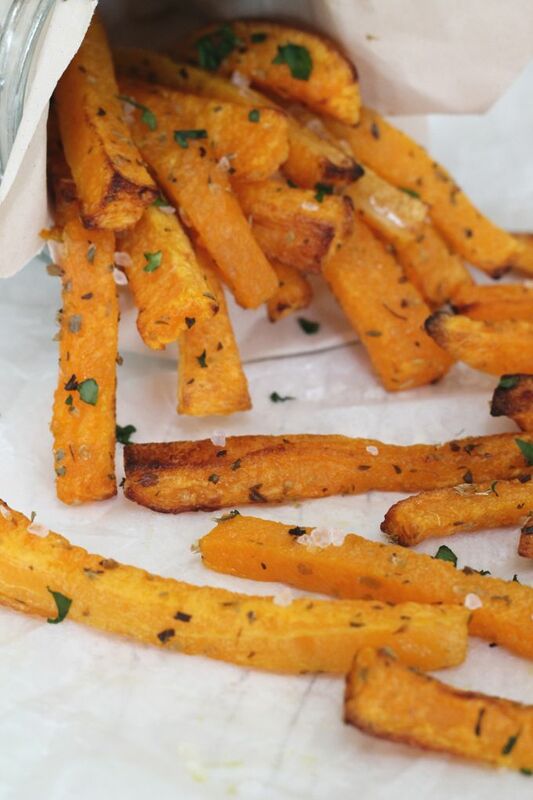 Place the fries evenly in a single layer on a baking sheet lined with parchment paper. Do not overcrowd or the fries will steam and turn out soggy. Use two pans, if necessary. Bake for 20-30 minutes (depending on the size of your fries) until tender and crispy. If needed, you can turn them after 20 minutes to prevent burning, but the browning adds much flavor. Preheat oven to 375°F. Slice the top end of the squash (you can either peel with a vegetable peeler or leave the skin on). Cut the neck of the squash into thin 1/8” slices, either by hand or by using a mandolin. Try to stay uniform in size for even baking. If your squash is large, you can ½ or ¼ the slices. Place the slices in a bowl and coat with oil and seasonings. 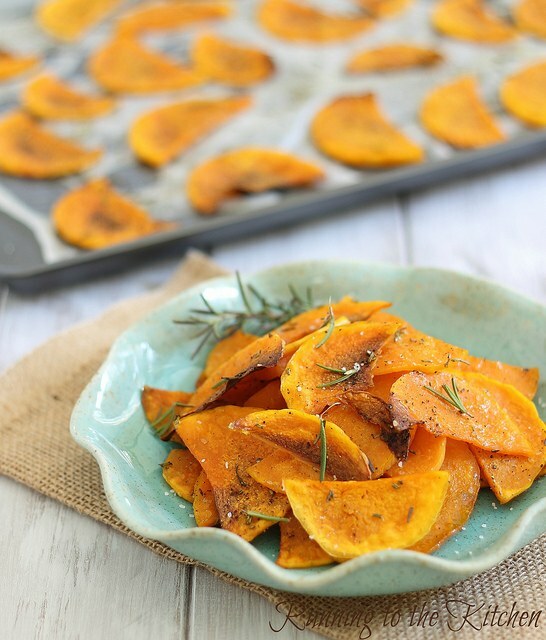 Place them on a baking sheet lined with parchment paper, making sure they do not overlap and have plenty of room between chips. Bake for 20-25 minutes until chips are hardened and browned. Time will vary, depending on the thickness of your chips.